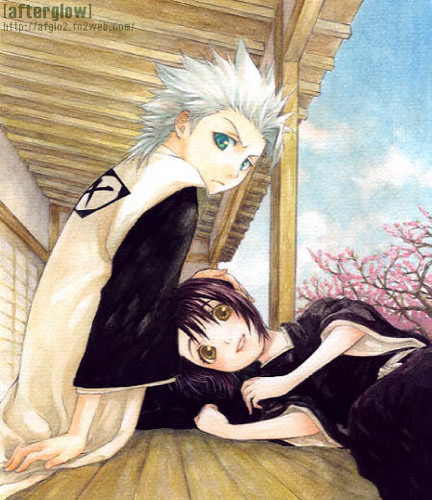 Just Us. . Wallpaper and background images in the Toshiro and Momo club tagged: toshiro hitsugaya momo hinamori hitsuhina sweet love romance bleach anime. This Toshiro and Momo photo might contain anime, komik, manga, kartun, and buku komik. His eyes.... So beautiful. This is a really good drawing!